This post is sponsored by Post Consumer Brands. All thoughts and opinions are my own. 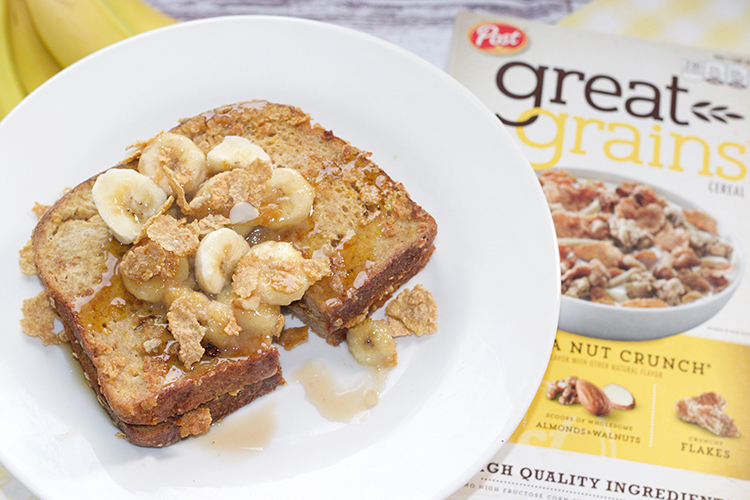 I’ve created a healthier version of Bananas Foster French Toast using whole wheat bread. This recipe tastes amazing and and contains very little sugar, so you can eat guilt free. For an even healthier option you can skip the syrup entirely and you won’t even miss it. 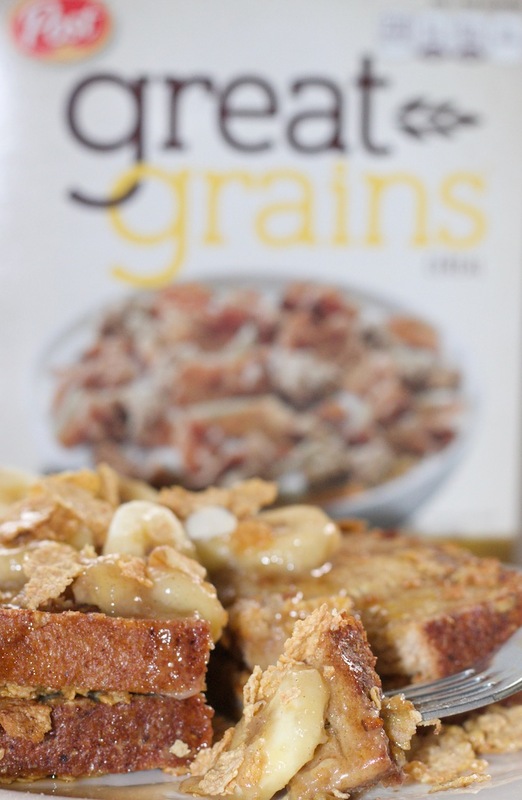 I love the fact that the Post Great Grains cereal adds a nice crunch to the french toast. 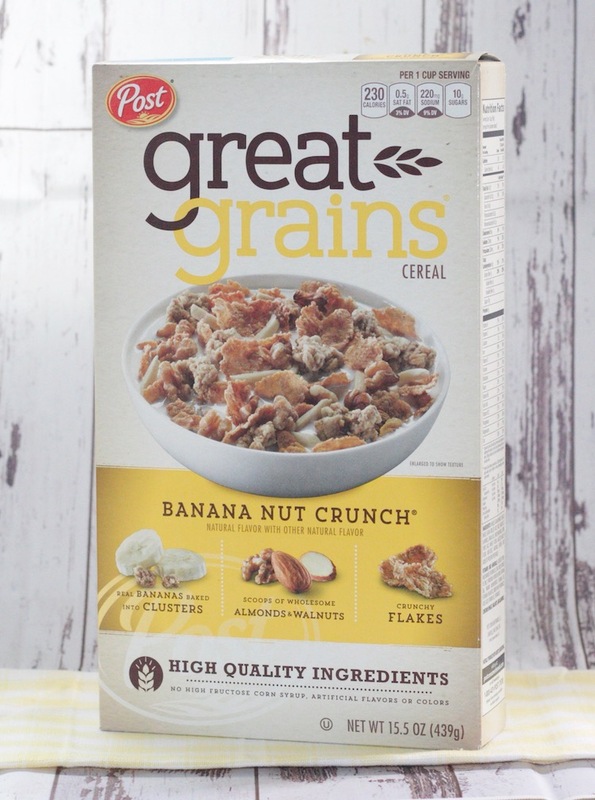 Target carries the Post Great Grains cereals in several different flavor options. 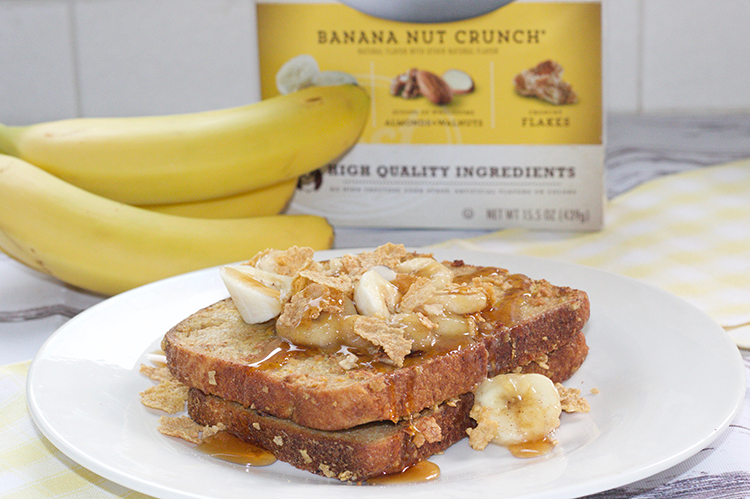 The Banana Nut Crunch works well for this recipe, but you cal also pick up some of the other great flavors like Crunchy Pecan, Cranberry Almond Crunch and more. 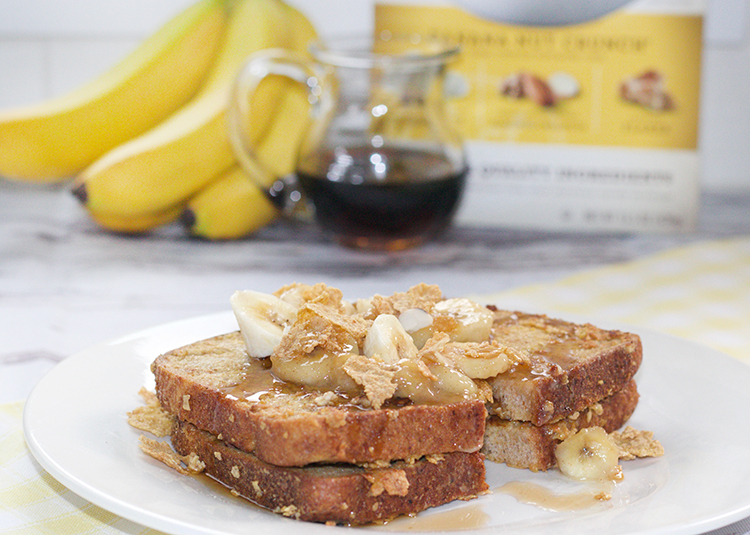 The Crunch Pecan would work well for this recipe too. In bowl add egg, milk, sugar, cinnamon, and vanilla and whisk. Set aside. With food processor add cereal and pulse until you have a crumb mixture. 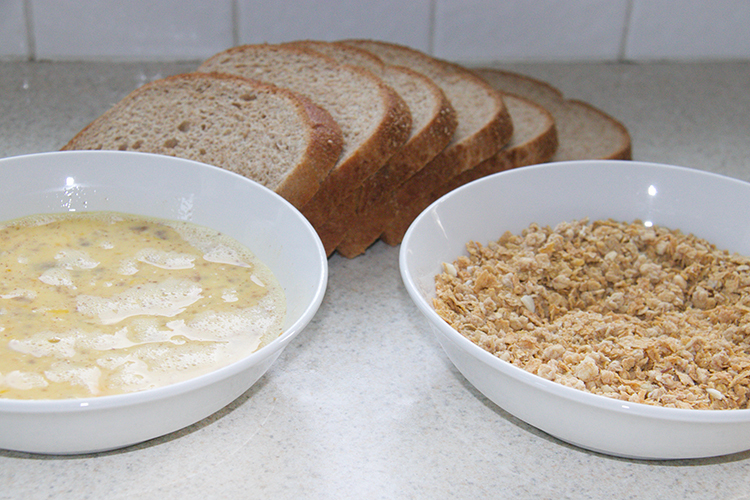 Grab one slice of bread at a time and dip into egg mixture, then dip and lightly coat into the crumb mixture. Pan fry until golden brown. 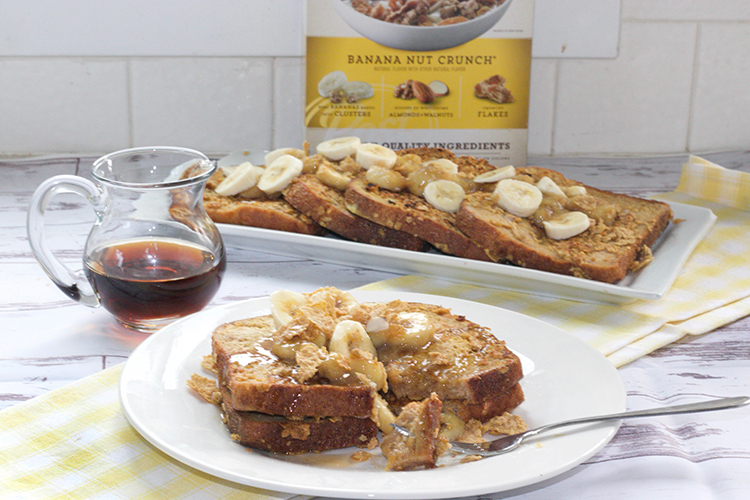 For Topping, in sauce pan add butter and sugar and cinnamon, add 2 sliced bananas. Pan fry until bananas start to caramelize. Remove from heat. Add sliced fresh bananas (1 to 2 bananas). 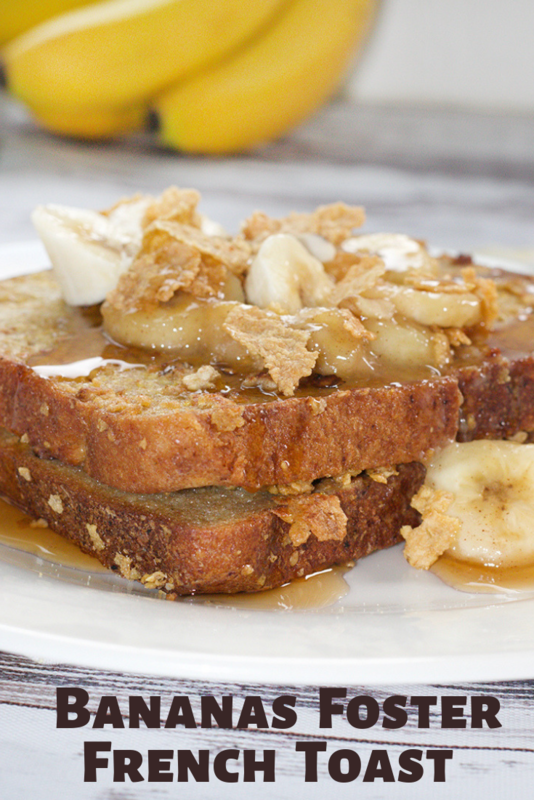 To serve, add 2 slices of french toast and add a large spoonful of banana mixture. Top with a bit of cereal. Enjoy with or without syrup. Yum! 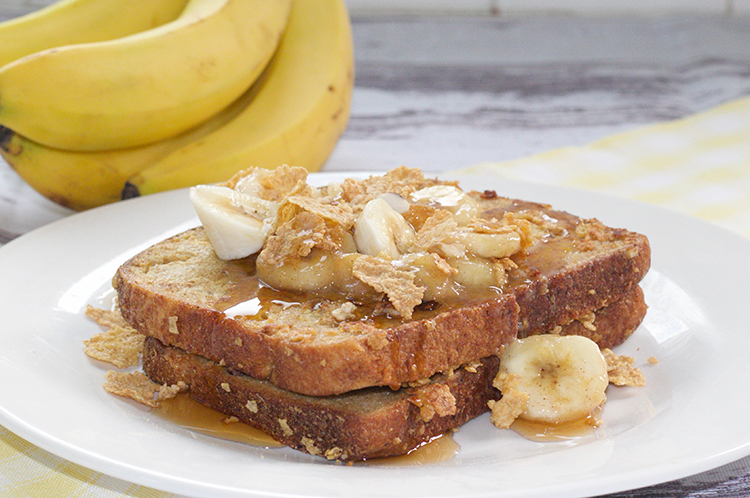 The whole family will love this yummy breakfast. This week Target has select Post cereals on sale for $2.99. Next time you head to Target, swing by the cereal to pick up your favorite Post cereals.